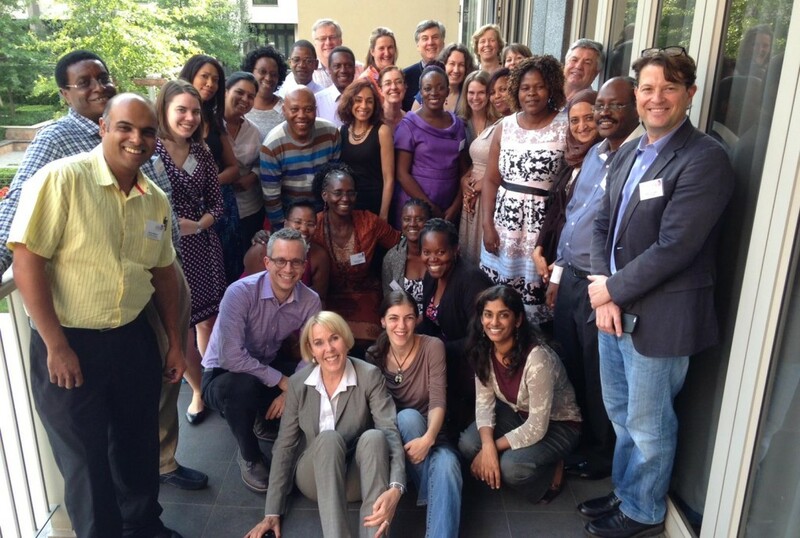 Led by FHI 360, Wits Reproductive Health and HIV Institute (Wits RHI), the University of Washington and the World Health Organization (WHO), the ECHO Consortium was convened to design and conduct a randomised clinical trial on hormonal contraceptives and the risk of HIV acquisition. The members of the consortium are committed to working as one team to achieve the objectives of the study. The structure of the consortium reflects clearly and collectively defined roles and responsibilities that draw on the specific expertise and experience of the member organisations. A Stewardship Committee composed of the funders works closely with the consortium. They are responsible for ensuring the funding for the study is used effectively and that operational milestones of the trial are achieved. A Management Team with representatives from each of the four coordinating partners is charged with the overall oversight of the study, including review and approval of the study design and implementation strategies, overseeing timelines for the major trial milestones, communicating with the Data and Safety Monitoring Board (DSMB), and oversight of external trial communications. The Operations Team, whose members are from the coordinating partners, manages the day-to-day implementation of the ECHO Study. This includes coordinating and conducting protocol and site trainings, monitoring the trial’s progress, establishing site criteria, selecting trial sites, and overseeing site performance. The Operations Team also has final responsibility for ensuring that the study follows Good Clinical Practice (GCP). The full study team is composed of the Management Team, the Operations Team and the site investigators of all the participating sites. An independent Data and Safety Monitoring Board (DSMB), comprised of global experts in reproductive health, HIV, and biostatistics, oversees the well-being of the participants. The DSMB has reviewed the protocol and also reviews study data at predefined points. If the DSMB members have safety concerns, they can recommend that the study be modified or stopped.